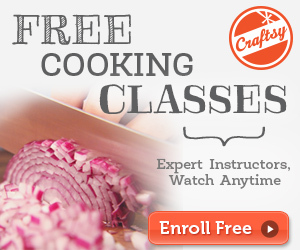 Niftynnifer's Crochet & Crafts: Did You Know Craftsy Has 40+ Free Classes?! Are you feeling bored or just unsure what to create next? Try exspanding your creative knowledge one class at a time. 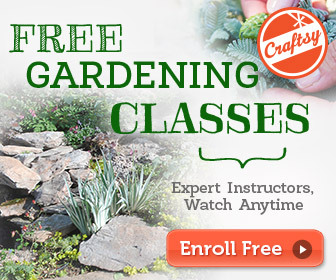 Learn from the World's best instructors in a vertual classroom. Ask question and recieve answers from the instructors or others that are enrolled in the same class(es) you choose. I am personally enrolled in the 'Painting Flowers In Acrylic' class. So far I have started my flower painting and have really gotten into it. However, my painting is not yet complete. I chose a pretty large canvas for this project, so it's taking me much longer than I had anticipated. I have yet to finish it, but have received many compliments from friends and family. My painting has also been promised to a friends daughter when finished. She just Must have it! 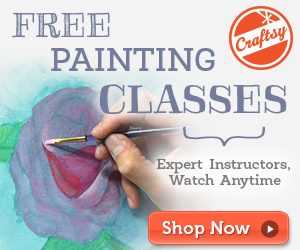 Craftsy has something for everyone!